Come by Wednesday from 2:00 until 6:00PM and Thursday from 9:00AM until noon to adopt a plant for your personal garden. We have tomatoes, cucumbers and various herbs at the table near the entrance for you to nurture. While you are here, feel free to stroll around and see how the former parking lot has transformed. To us, its a sanctuary. See what it can be for you. Thursday, July 24: Super Powers! And at the low price of FREE, these are the best deals in Lafayette! This entry was posted in Outdoor Learning Center, Sustainability and tagged children, classes, free, healthy, Kids, plants. Calling all kids! Bring your parents on Saturday, June 28 from noon until 1:00pm for a hunt for hidden bugs at the Lafayette Community Garden! How many can you “spot”? Join the Lafayette Children’s librarians a few buggy stories and learn what insects can do for and to our gardens. We will explore the world of bugs, their homes and preferred foods. 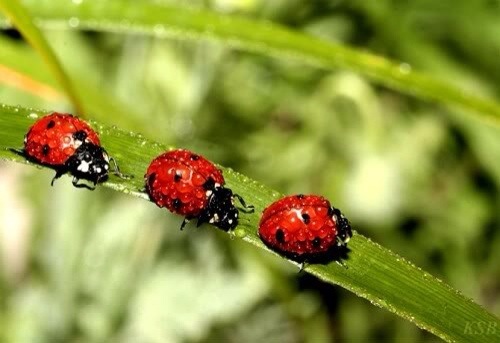 Here’s your chance to dig in dirt, collect insects, inspect them, and release friendly ladybugs to help keep those pesky aphids under control. Go ahead! Ask your parents to register you for this exciting opportunity. This entry was posted in Community Events, Kids, Lafayette Library and Learning Center, Organic, Outdoor Learning Center, Sustainability and tagged Bugs, children, garden, insects, Kids, Lafayette Library, LCG, stories. Eggs are an age-old symbol of springtime and renewal. Stop by the garden to listen to Lafayette Library children’s librarian Ann Miller tell stories of chickens and eggs. Stay for egg decorating and crafts. See how many eggs you can find on an egg hunt around the garden. 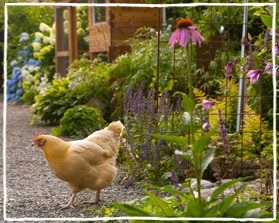 Visit our hen house for some old-fashioned “cluck, cluck, cluck” Chicken Fun! This is a collaboration between the Lafayette Library and the Lafayette Community Garden. This entry was posted in Community Events, Kids and tagged chicken, children, crafts, decorating, egg, hens, Kids, Lafayette Library, story.